One of the biggest contributions America made to the war effort was its enormous industrial base and associated ingenuity. It was Henry Fords protege’s from the motor industry who were brought in to help the conversion of the peace time manufacturing industry to an incredible machine churning out arms arms and armaments in astonishing numbers. One of the best examples was the liberty ship. 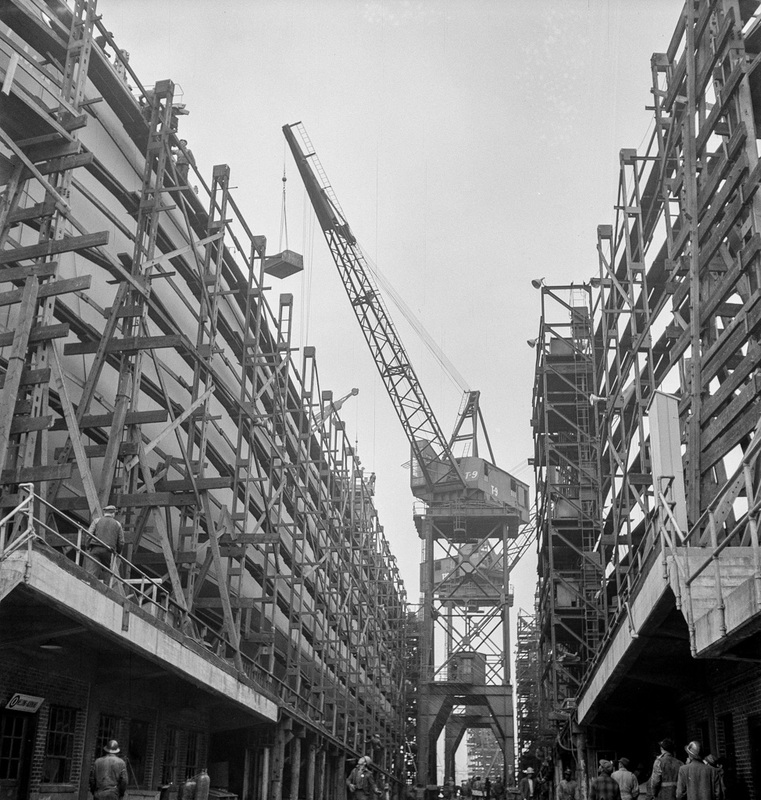 On the west coast, civil engineering contractor Henry Kaiser built yards and set records for the completion of ships, while on the east coast existing shipbuilders Bethlehem built a new yard in Baltimore and using the same mass production, pre-fabrication techniques as on the other coast churned out ships for the Atlantic convoys. 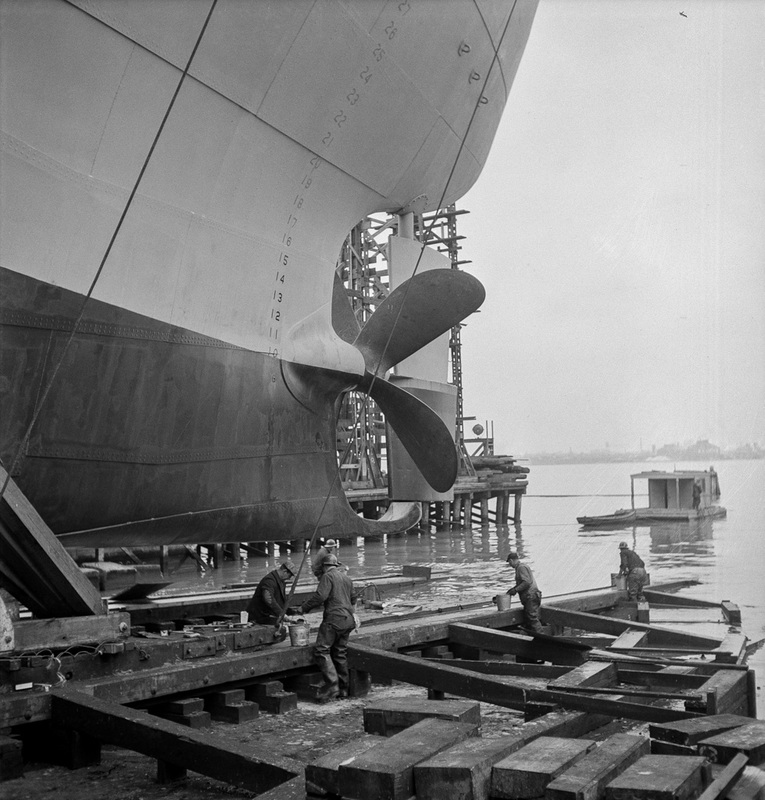 Of course the concept of pre-fabrication wasn’t new, but getting it done off site at non shipyard facilities was. 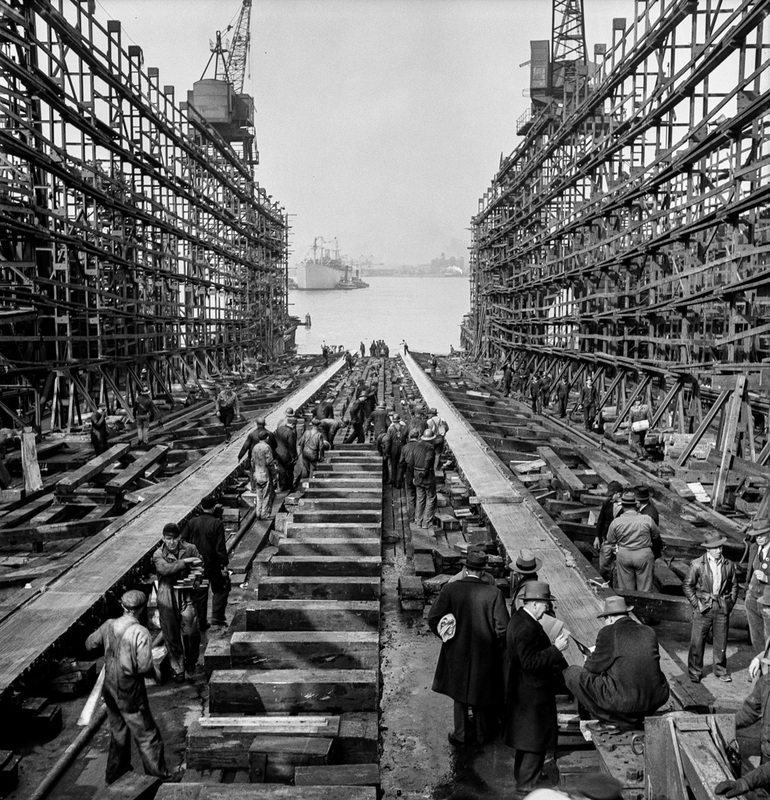 Shipyards tend to be vast places and the Baltimore yard was no exception. This was a new yard, built solely for the construction of Liberty Ships, but with the end of the war, it’s vast extra capacity was no longer needed and it closed down. The area has since be totally re-developed. Baltimore, Maryland. Way no. 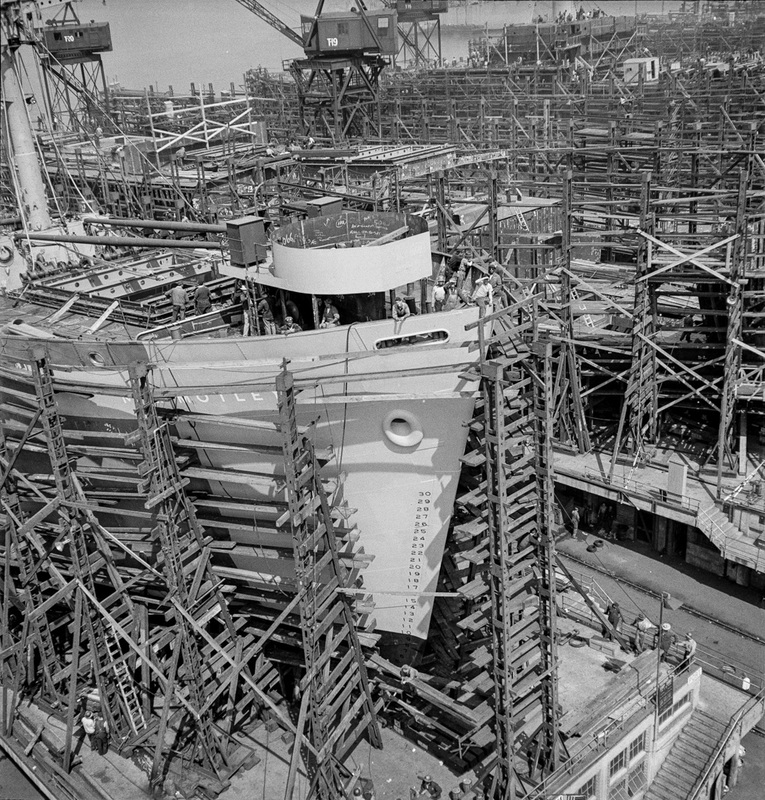 8 of the Bethlehem-Fairfield shipyards, showing the Liberty ship Frederick Douglass in its early stage of construction. Bethlehem-Fairfield shipyards, Baltimore, Maryland. A crane operator high above the yard. 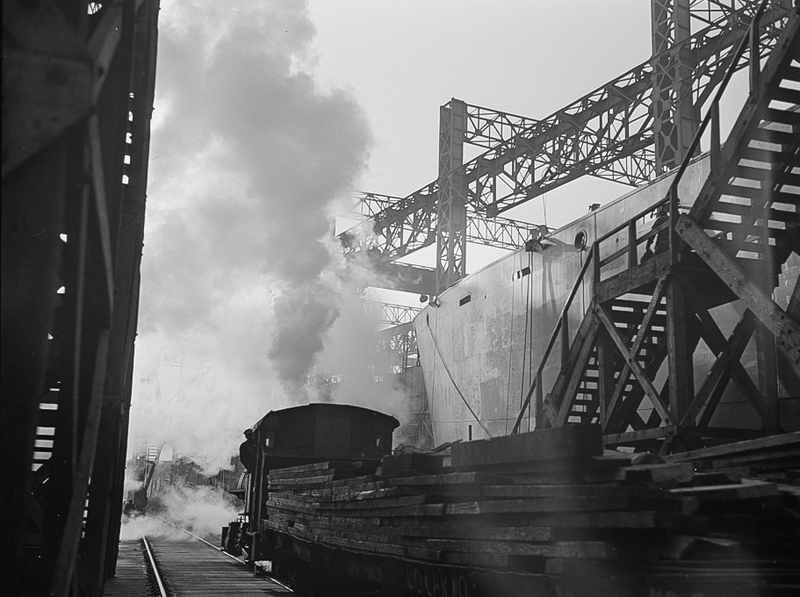 Bethlehem-Fairfield shipyards, Baltimore, Maryland. 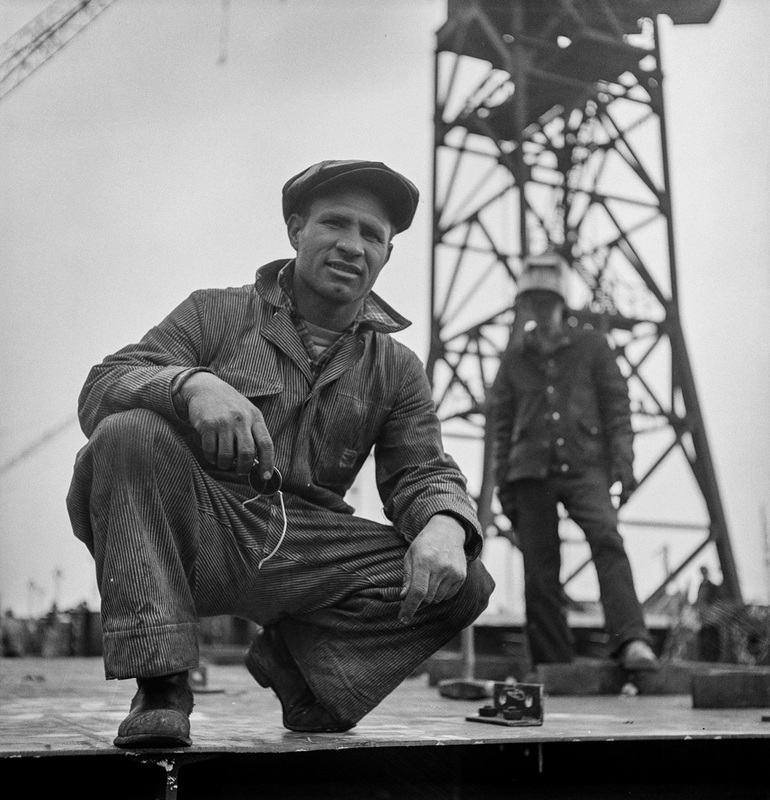 A shipyard worker. 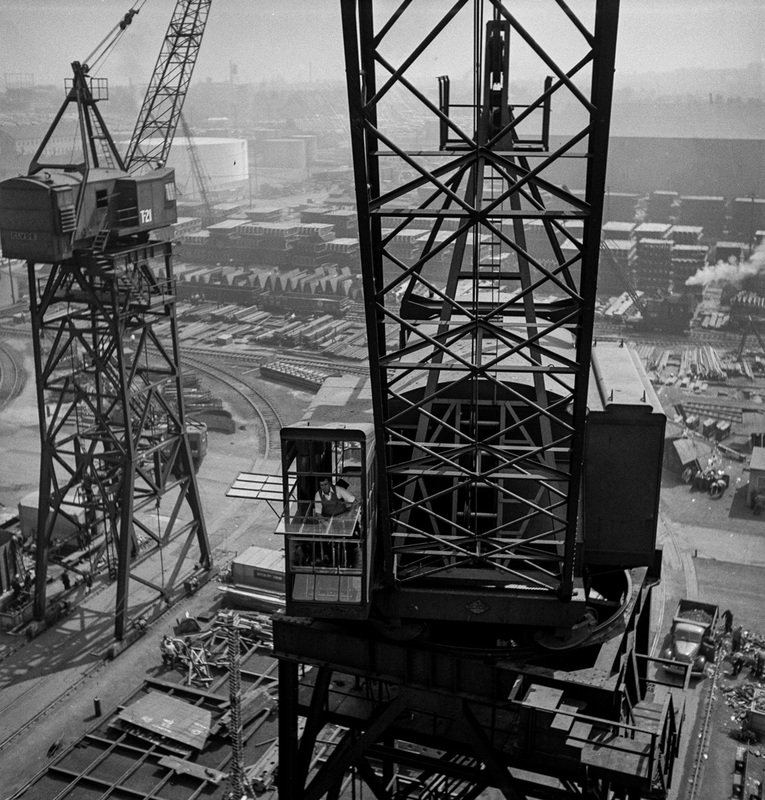 Bethlehem-Fairfield shipyards, Baltimore, Maryland. 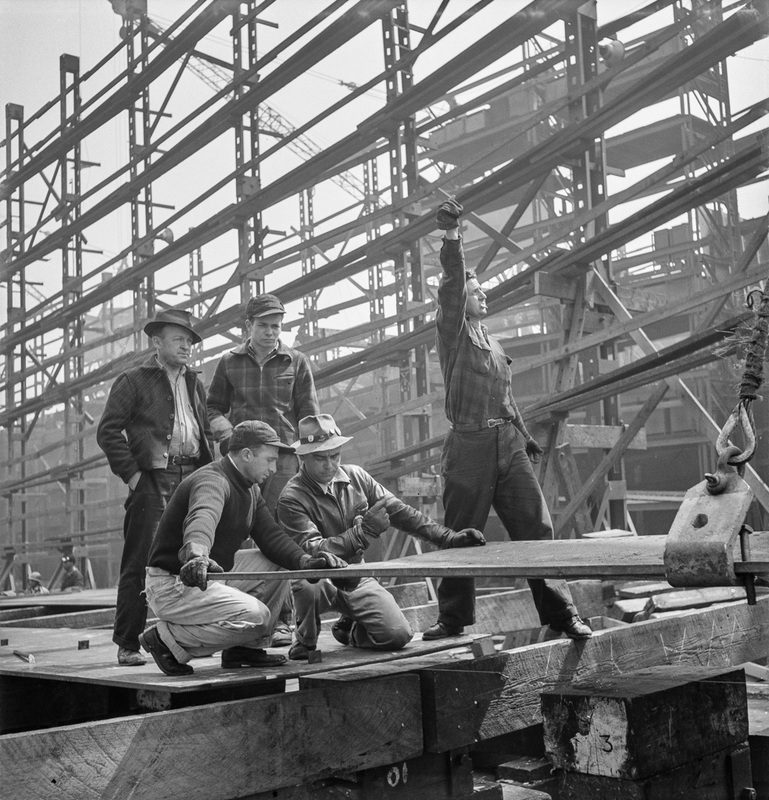 Erecting a flat keel. Bethlehem-Fairfield shipyards, Baltimore, Maryland. Erecting bottom shell plates. Bethlehem-Fairfield shipyards, Baltimore, Maryland. 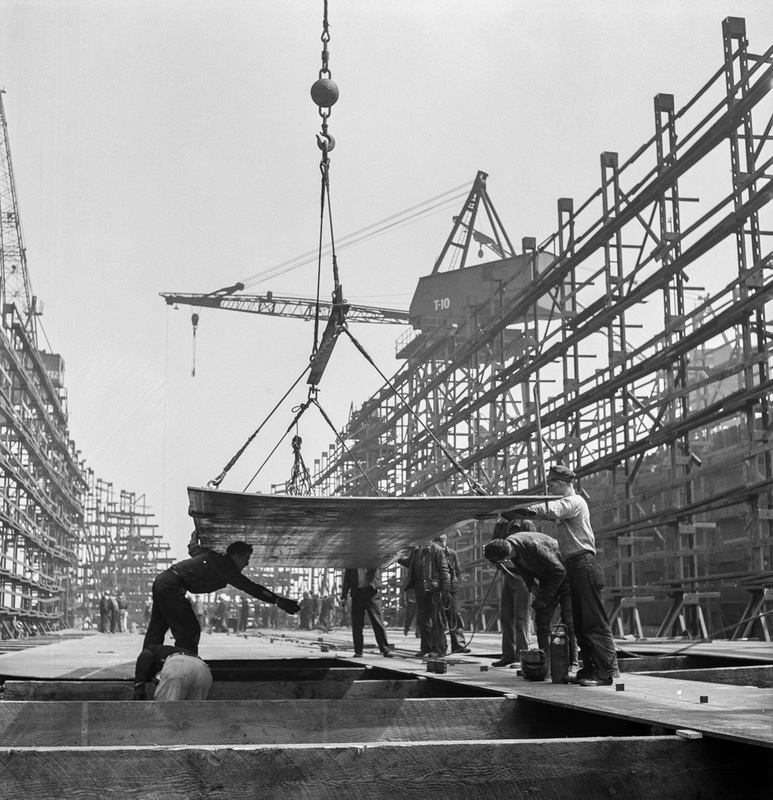 Ship construction in its early stage. Between the ways of this large Eastern shipyard run tracks for flat cars carrying materials or sections to be hoisted onto the decks of ships under construction. Bethlehem-Fairfield shipyards, Baltimore, Maryland. 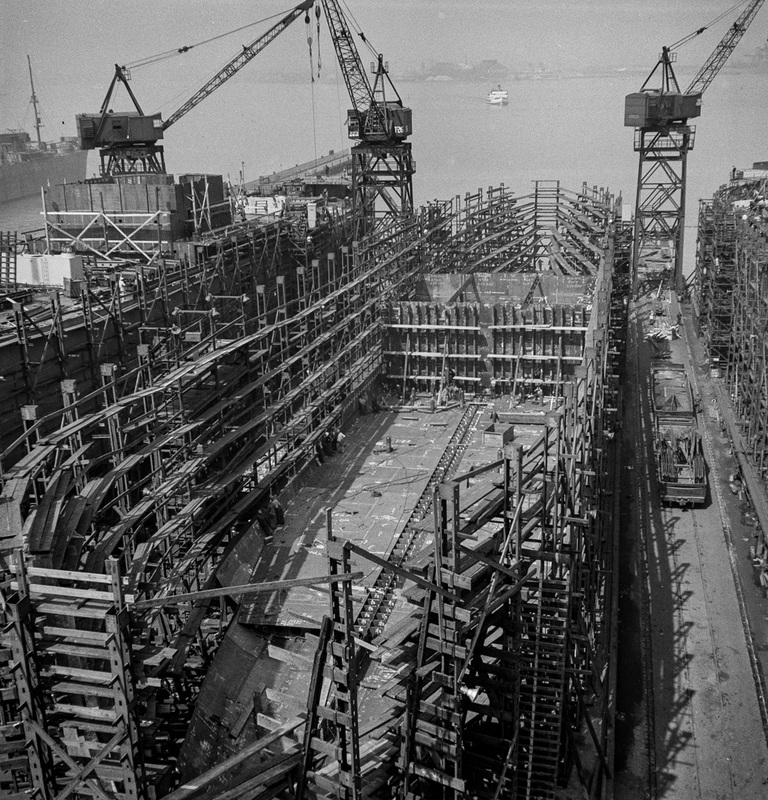 Forward section of a nearly completed ship. Bethlehem-Fairfield shipyards, Baltimore, Maryland. General view between the ways. Bethlehem-Fairfield shipyards, Baltimore, Maryland. Greasing outboard end of the ways just before a launching. Bethlehem-Fairfield shipyards, Baltimore, Maryland. Looking aft on deck from a Liberty ship. 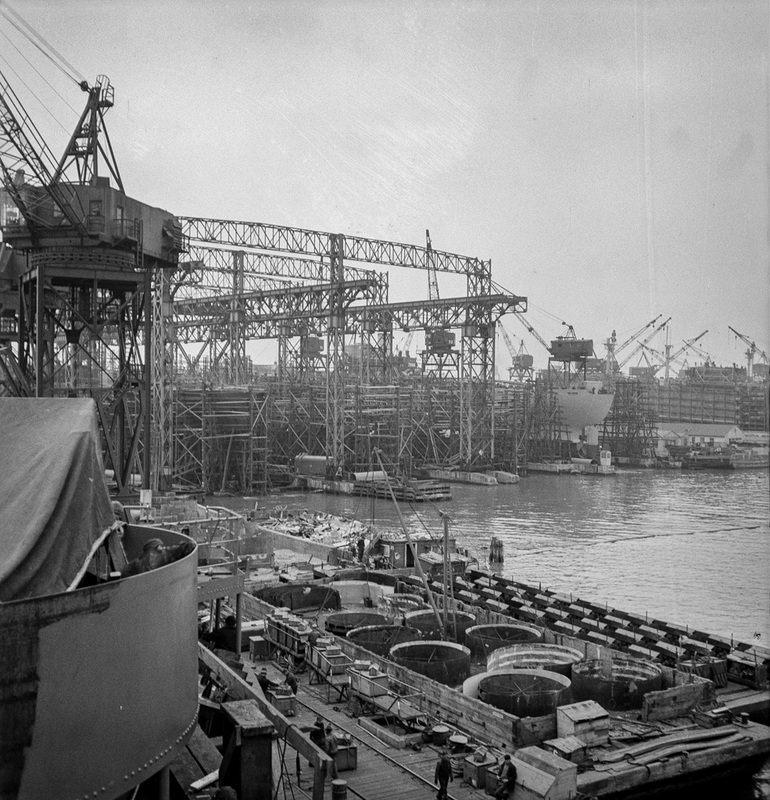 Bethlehem-Fairfield shipyards, Baltimore, Maryland. The stem of a vessel just after the launching ceremony.